Hi there! I hope you've had a good week! 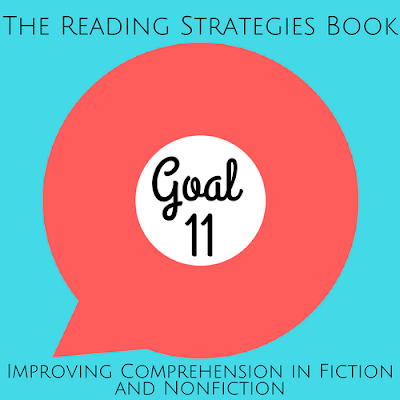 Today, I'm sharing a few of my favorite strategies from goals 11 and 12 from The Reading Strategies Book. 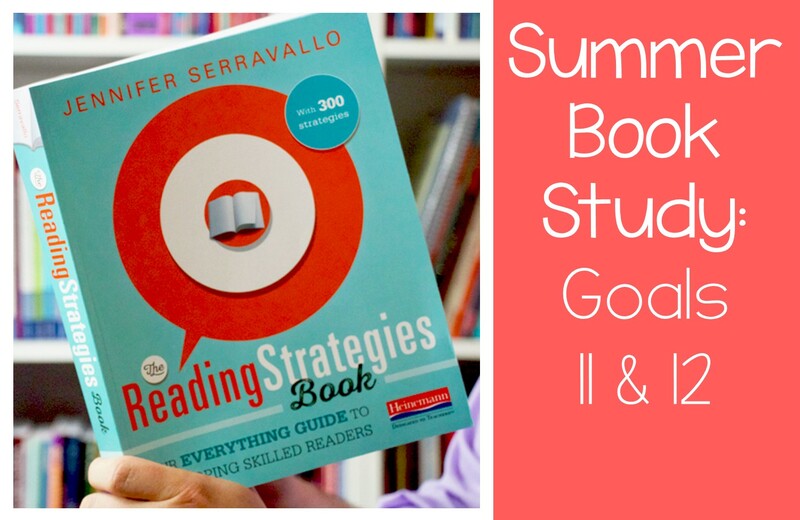 If you've had time to keep up with our book study, that's awesome! If not, grab the book and skim it when you have time - I guarantee it's one you'll be reaching for all year! Goal 11 teaches strategies for improving comprehension in fiction and non-fiction texts, particularly vocabulary and figurative language. Goal 12 teaches strategies for improving our students' conversations about comprehension. Since my experience is in kindergarten, I'll share how I would implement these strategies in my kindergarten classroom! "Vocabulary is the glue that holds stories, ideas, and content together...making comprehension accessible for children." 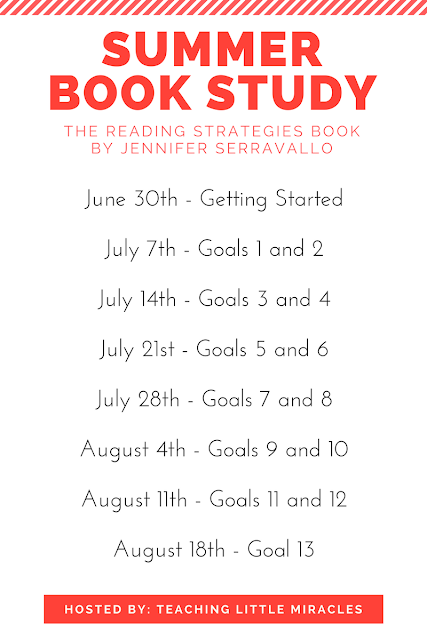 Serravallo reminds us that "vocabulary knowledge helps students access background knowledge, express ideas, communicate effectively, and learn about new concepts" (pg. 296, The Reading Strategies Book). In kindergarten, the majority of new vocabulary acquisition will come from students listening to read-alouds. One of my favorite teaching moments is when I discussed the the word "scrumptious" with my students when it appeared in a read-aloud. I told them that when they had dinner that night, they should tell their family that dinner was scrumptious. During parent/teacher conferences a few weeks later, I had several parents say that their child was using the word "scrumptious" at dinnertime quite frequently! It was so rewarding to see that concrete evidence of learning! In this strategy, when faced with an unfamiliar word, students are taught to insert a word they know would fit the sentence. This strategy would be so effective in a read-aloud situation! When you come across a great new vocabulary word, read the sentence and then stop and wonder out loud, "Hmm, I wonder what that word means!" Reread the sentence and work together to think of another word that would make sense. I love using strategies like this one because it models to our students that it's perfectly okay to not know a word and, furthermore, how to respond to that situation. It could be very empowering for them as they begin to read more difficult texts! This strategy fits hand-in-hand with goal 10 from last week. In the context of improving vocabulary, text features can play a valuable role. When we're reading a non-fiction text aloud to our students, it's important to point out diagrams and photos to our students. Then we can use them to model how to figure out the meaning of a new word. Showing our students what they look like when they're a good listener can make for a really fun lesson! When showing my kindergarteners what good listening and not-so-good listening looks like, believe me, there were giggles galore when I showed them the not-so-good listening. When you're five, seeing your teacher sitting lazily, facing the wrong way, and being totally distracted is basically hilarity at its finest! Having them practice how their whole body looks is the way to show them that listening doesn't just involve our ears! This strategy teaches students to listen to what their partner/another student says. Then, they paraphrase it back and add their own thought onto the end. For younger students, you may even leave off adding their own thought, at least at first! I wanted to end with this strategy because I love how Serravallo discusses the importance of making text-to-self connections! She mentions the criticism that text-to-self connections have received in recent years. She states that a reader's personal connections and reactions to a book are critical for constructing meaning. As long as we are bringing the text-to-self connection back to the book, this strategy can be really meaningful for readers. As a kindergarten teacher, it's sometimes hard to stop students from sharing "personal connections" to text once they get started and sometimes, they veer off-track a little. By being diligent and helping them connect their thoughts back to the book, we are increasing their understanding of the text. And along with that, I believe we are increasing their desire and motivation for reading! If our youngest students realize that they can find familiar characters and situations within text, what a powerful motivator that can be want to learn how to read!! Thanks so much for taking a little time out of your day to read my thoughts! I could talk about this book all day! Next week is our last week of the book study, so be sure to check out goal 13! 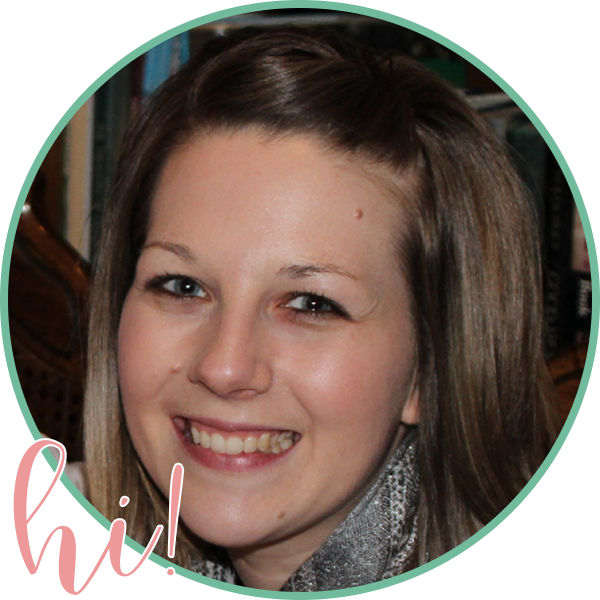 Be sure to check out all of the other fabulous bloggers who linked up with Teaching Little Miracles, too! How delightful to hear about your little ones saying dinner was "scrumptious!" Too cute! The strategies you shared included some of the ones I'd noted as I read. Something that I need to be more intentional about with my 3rd graders is the way in which we talk about what we've read. I have a tendency to either do most of the talking or make very closed-end questions that don't produce deepening conversations. I'm sure that I'll keep finding things to work on as long as I'm a teacher!